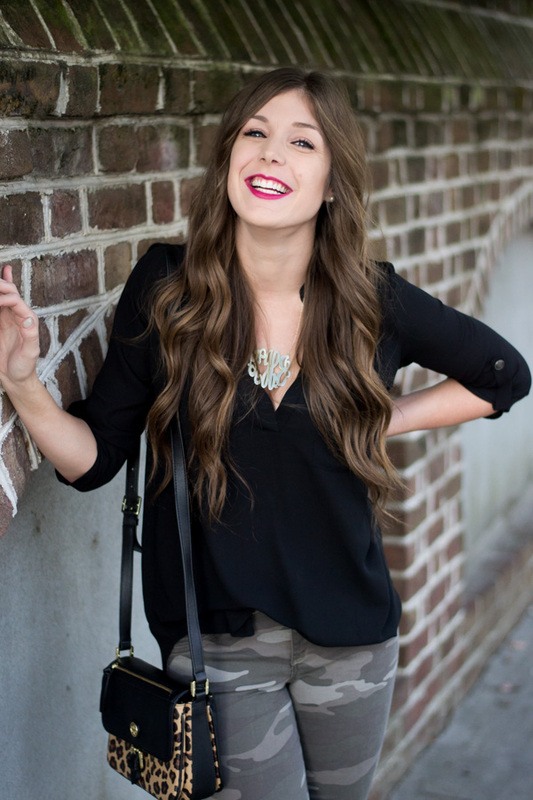 I am so excited to finally be able to share with y'all my outfits from Charleston Fashion Week! 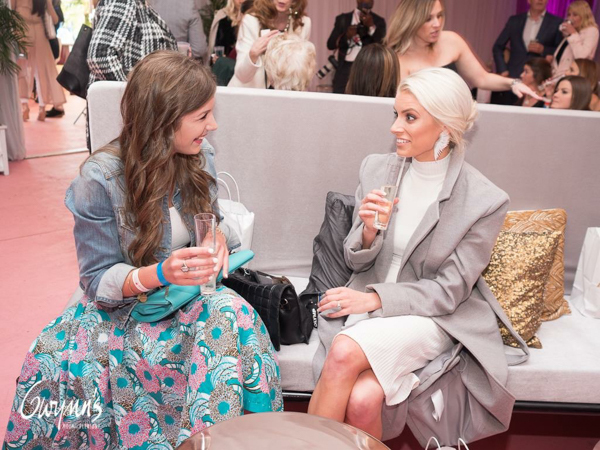 I had the best time getting to hang out with local bloggers, as well as getting to watch some of the best designers take the runway! I had the opportunity to partner with Francis + Benedict for Fashion Week this year, and I am honored to be able to share their mission with y'all, as well as grow awareness of their brand! Francis + Benedict is a nonprofit that exists to empower women and to equip local leaders to continue to serve those trapped in poverty. This amazing company employs widows from Togo, Africa, training and equipping them, as well as providing them with fair wages and sustainable income. Each Francis + Benedict skirt is handmade and marries American style with West African wax print textiles. Every print is unique and equally beautiful- there is a style for everyone! 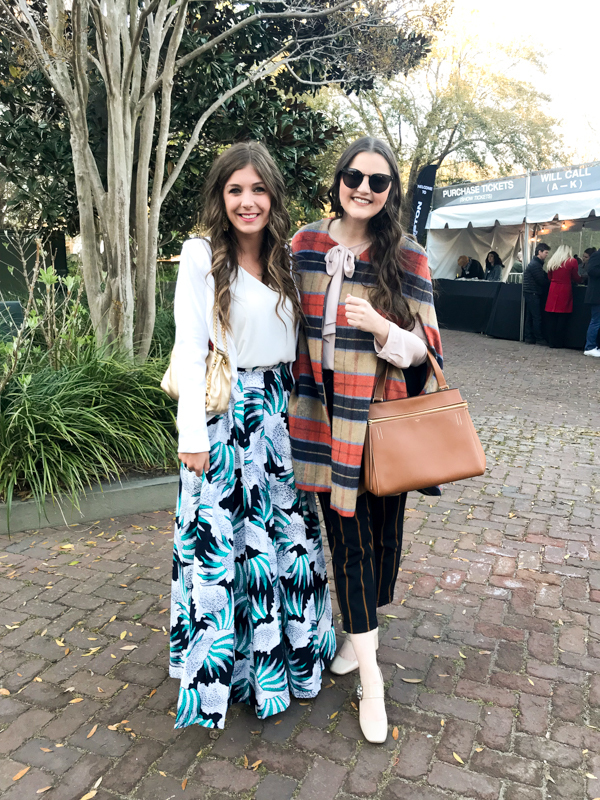 I chose to wear a midi and a maxi skirt to the first two days of Charleston Fashion Week this year, styled two very different ways. 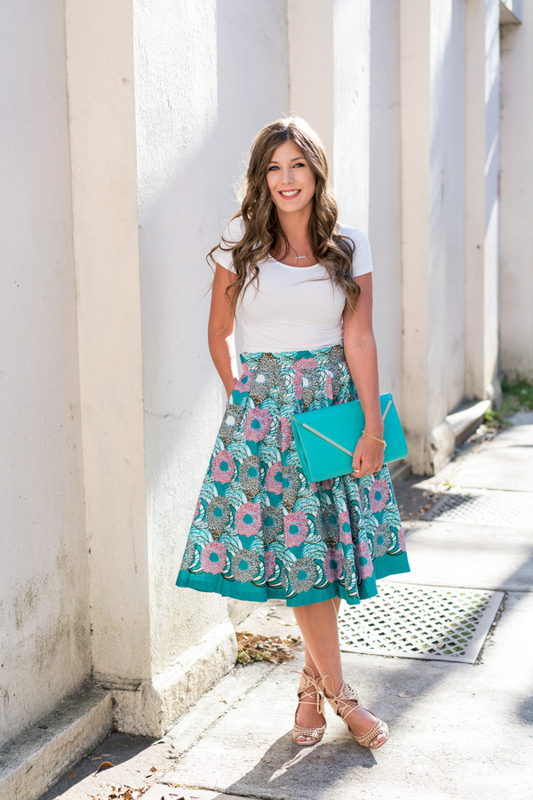 I wanted to show y'all that there are many different ways to style these beautiful skirts, and they can indeed be dressed up, or dressed down! 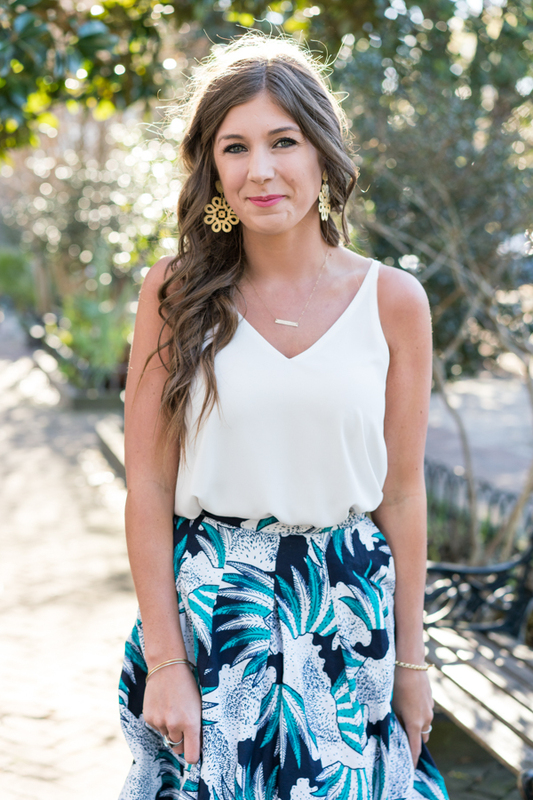 Some people get discouraged by bold patterns, but when in doubt, pair the pattern with a basic top (just like I paired both with white tops). I decided to dress down my midi skirt, and dress up my maxi skirt. It was uncharacteristically cold in Charleston during fashion week, so there was no way around me wearing a jacket each night. In the photos below, you can see how I paired each skirt with a different type of jacket, sticking with my theme of "dressing down" or "dressing up" my skirt. 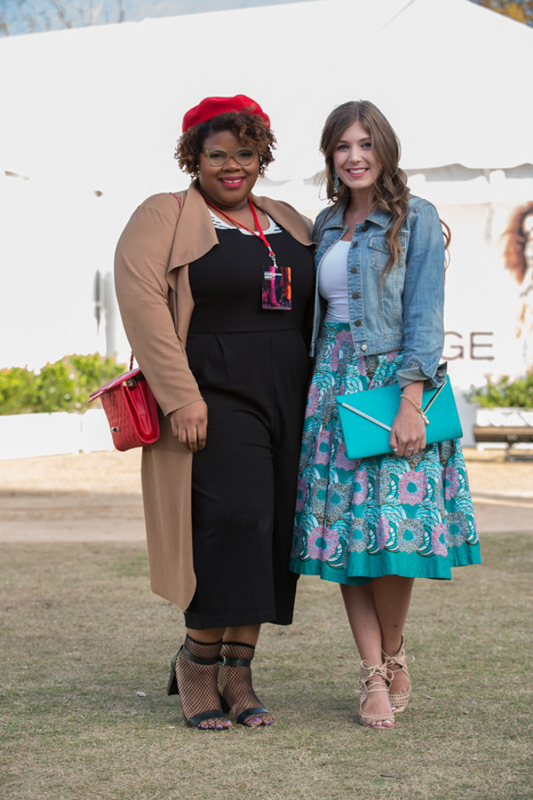 I chose to wear a jean jacket with my mini skirt, and a white blazer with my maxi skirt. My midi is from the Celestine Collection (coming soon) and my maxi is from the Jeannette collection. 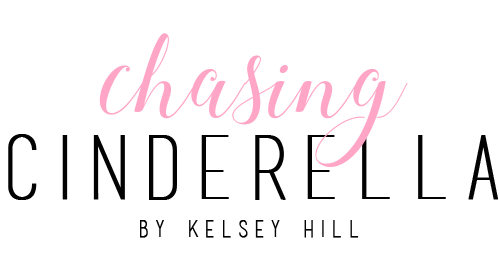 You can read all about the amazing seamstresses here. 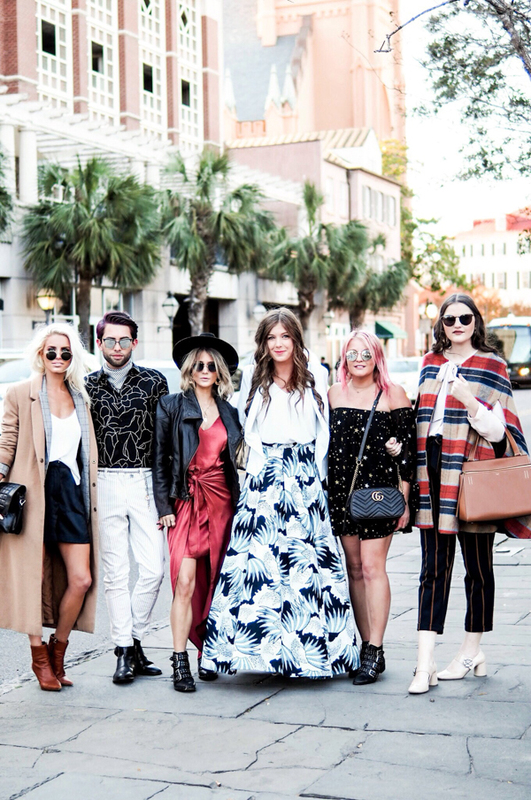 I had such a blast at Charleston Fashion Week with all of my blogger babes! From sitting front row opening night to being hosted in the Gwynn's VIP lounge, it was a memorable week and I cannot wait for next year! Wow lucky you. Love that long skirt, okay I like all the skirts but that long one I must have. Beautiful outfits! Love all the color and pattern! That sounds like so much fun! Both of those skirts so gorgeous also! Their skirts are gorgeous! Glad it was an amazing time! It sounds like you had an amazing time! I love those skirts! The white top looks perfect and is a great way to style it! These outfits are stunning!!! Those skirts are adorable!! 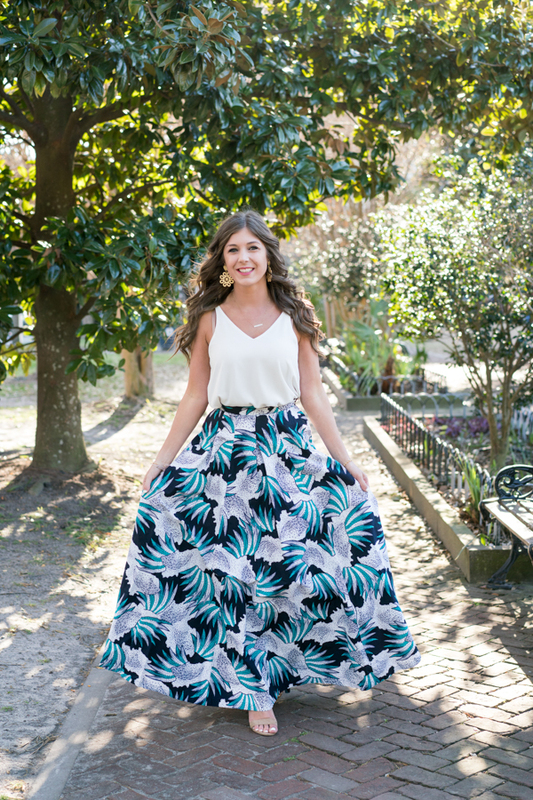 I absolutely love the maxi skirt! I love bold patterns. The way you styled it is also chic yet completely attainable. Looks like a great time! Girl your skirt game is out of this WORLD!!!! Love your outfits. 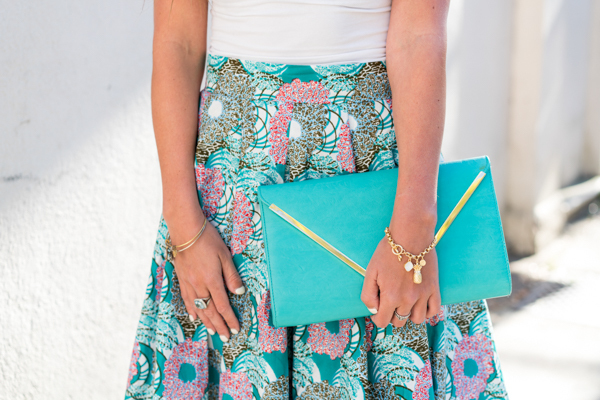 Love the skirt prints. Those skirts are so fun! Both skirts look beautiful on you! Sounds like an amazing. 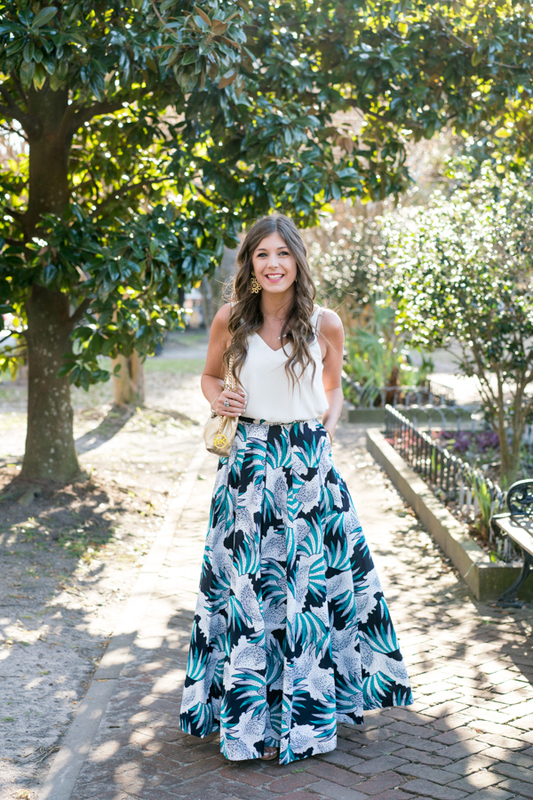 Love love that maxi skirt! Your skirt is such a stunner! 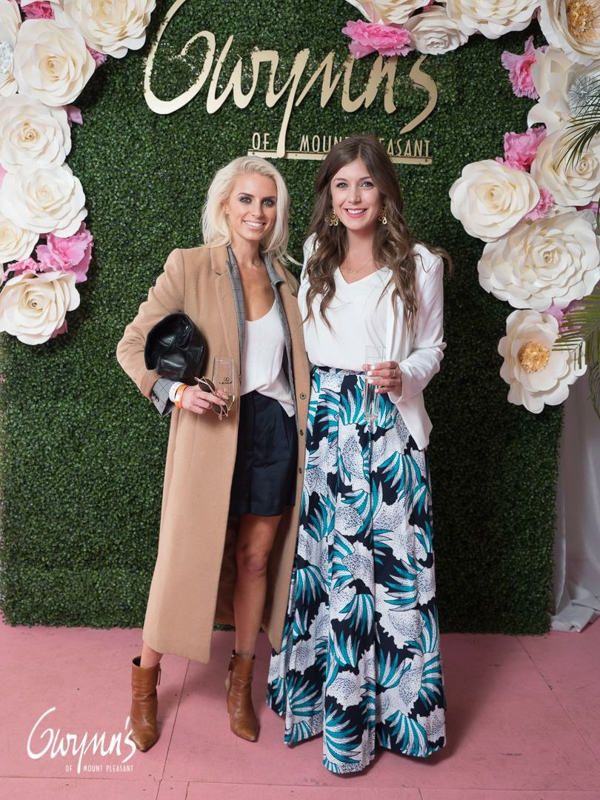 It looks like you had a great time at Charleston Fashion Week!